Need help coming up with reasonable S corporation salaries for your clients? Or perhaps for your own S corporation? 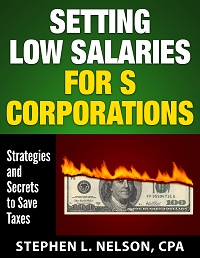 Our Setting Low Salaries for S Corporations monograph (price $100) can help. 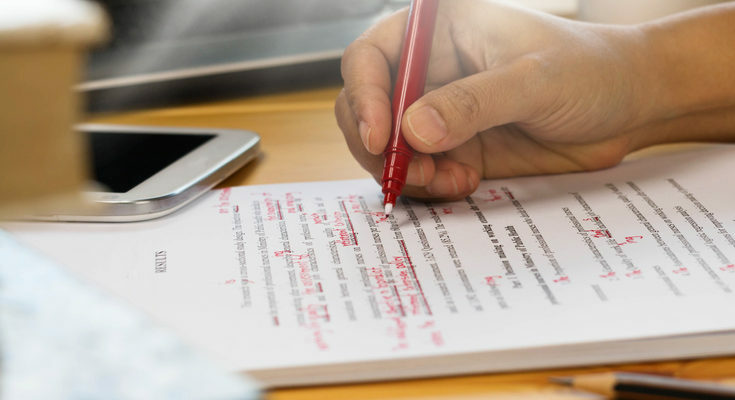 In just under a 100 pages of plain language, it provides rich, detailed information and a straightforward methodology for setting shareholder-employee salaries. The Setting Low Salaries for S Corporations monograph includes two updates: One update for Sec. 199A proposed regulations the IRS has promised it will provide soon, and one update for whenever the IRS next updates its S corporation salaries data. An S corporation typically saves each shareholder around $8,000 to $10,000 a year in taxes. Which is great. But problems exist. No specific guideline exists for setting S corporation salaries, for example. Further, the new Sec. 199A “qualified business income” deduction only complicates matters. Finally, the S corporation gambit (paying lower salaries to lower payroll taxes) causes tax accountants and their clients to bear risk. S corporations, shareholders and tax accountants who set shareholder-employee salaries too low risk IRS audits and tax penalties. To look at just one part of that risk, in a worst-case scenario, the preparer may face a $5,000 penalty. 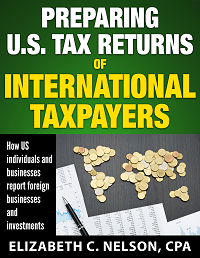 Thousands and thousands of CPA firms have purchased our monographs and found them highly practical ways to get up to speed on complex tax law topics. Happy readers include the full range: Small solo practitioners to tax partners in large regional CPA firms. Chapter 1 – How S Corporations Save Payroll Taxes. A quick review of how the savings work including a subtlety most S corporation owners don’t know. Chapter 2 – Reviewing the Law. An explanation of the actual statute, regulation and revenue rulings that provide the loophole. Chapter 3 – Common Subchapter S Salary Practices. IRS data about what S corporations actually pay their shareholder-employees. Chapter 4 – Single Shareholder Situations. When and how a small sole proprietor can maybe make the S corporation gambit work. Chapter 5 – The Sec. 199A Deduction Complication. A discussion of how the Sec. 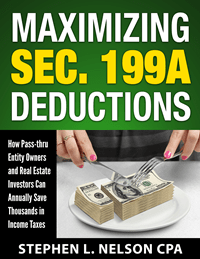 199A deduction works for an S corporation and how to resolve conflicts between the two tax laws. Chapter 6 – Avoiding Unreasonable Distributions. A sidebar about the importance of also thinking about shareholder distributions. Chapter 7 – Developing Reasonable Compensation Amounts. An eight-step work plan for setting reasonable compensation amounts for shareholder-employees. Chapter 8 – Practitioner Case Studies. Practical real-life examples showing how to optimize shareholder-employee salaries in common situations. Chapter 9 – Risky Practices and Danger Zones. 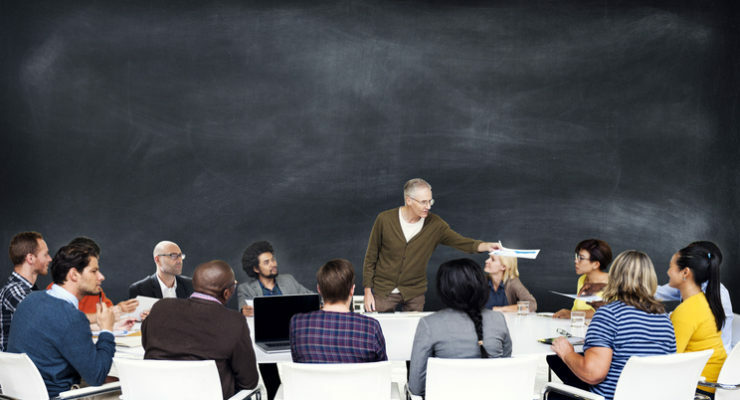 Discussions of common, dangerous S corporation shareholder-employee compensation mistakes. Chapter 10 – Winning the “Reasonable Compensation” Argument. A step-by-step plan for winning an IRS audit of S corporation compensation. Appendix A – Revenue Ruling 59-221. The key primary source that opened the loophole. Appendix B – Revenue Ruling 74-44. The revenue ruling that the IRS uses to blow up bad S corporation salaries. Appendix C – Relevant Portions of H.R. 4213. The law that almost passed and which applies to single-shareholder, single-employee S corporations. Appendix D – Example Client Letter. A boilerplate letter accountants and attorneys can use for their own client mailings. Appendix E – Example Client Email. A boilerplate email. CPA Stephen L. Nelson is the managing member of Seattle-area CPA firm that specializes in serving privately held companies with multi-state and international operations as well as their owners. A CPA for three-plus decades, Nelson holds an MBA in finance from the University of Washington and an MS in tax from Golden Gate University. A former adjunct tax professor at Golden Gate University, he is also the author of numerous reference books including the bestselling QuickBooks for Dummies and Quicken for Dummies titles.